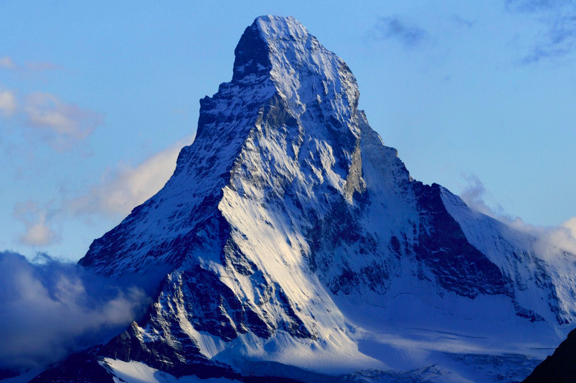 So next July, my dad and I are climbing the Matterhorn, the 4,478m beast on the Swiss/Italian border. Pops is athletic – he rowed for Oxford, then he rowed for Great Britain. Then, in 2005, he sailed the Atlantic solo. You can order his book about breaking ribs and being chased by pirates HERE. I have run three marathons and that’s about it. I have zero climbing experience. Zip. And I have the upper body strength of a teaspoon. But Pops turns 60 next year and I turn 30 and we just thought…let’s do it. You should be scared every now and then. 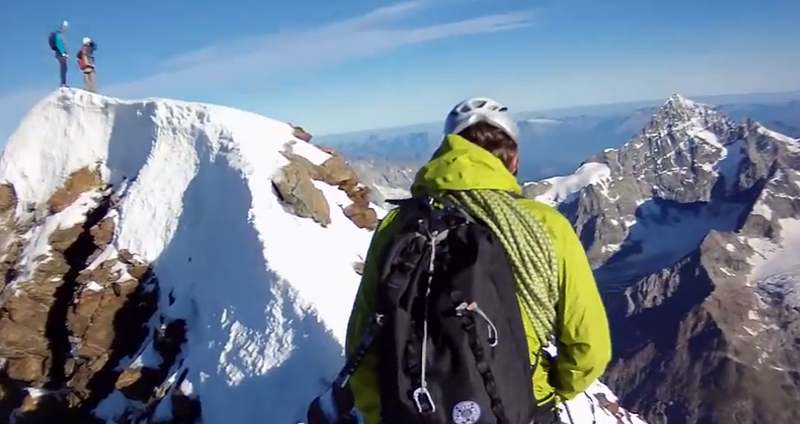 It is one hell of a climb, and ten people die on the mountain each year. To get to the summit, you have to walk – slowly – along a narrow ridge of snow with a rocky drop of several thousand metres on each side. Here is a shot from one of the YouTube videos that made my legs go a bit wobbly.